I recently bought a basket of locally grown peaches and had a few left that were starting to look less than fresh but I still didn't want them to go to waste. 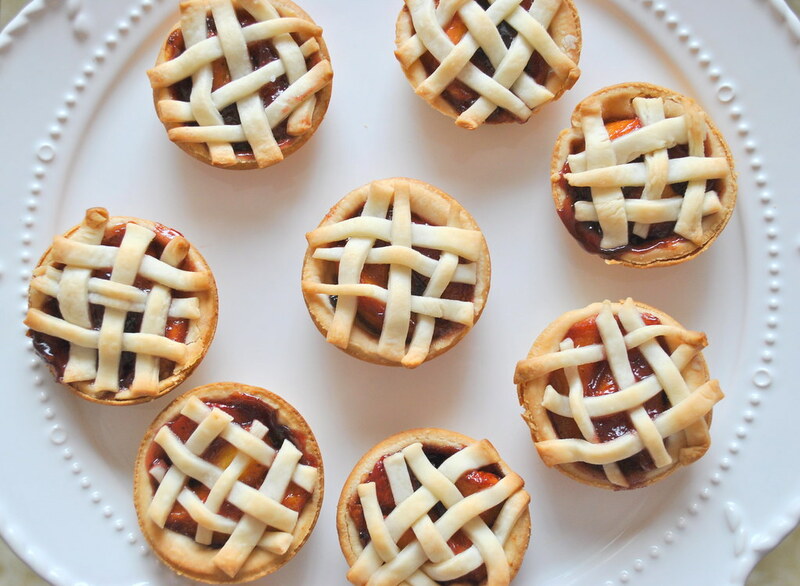 I decided making tiny pies out of them would be a fun solution! So easy, I promise. Directions below. 1. Preheat oven to 400 degrees. 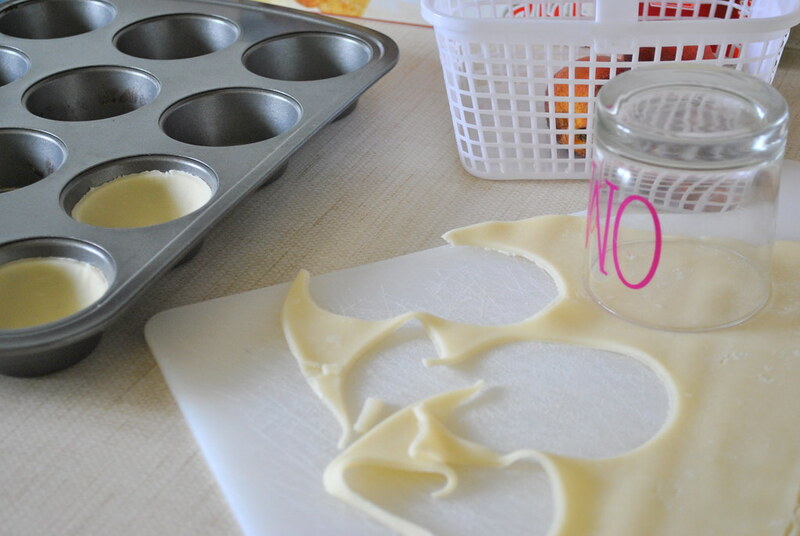 Cut eight circles from your ready made pie crust with a tumbler glass (find mine here), place in cupcake pan, and bake for 9 minutes. Take out and let cool while you do the rest but don't shut off the oven. 2. 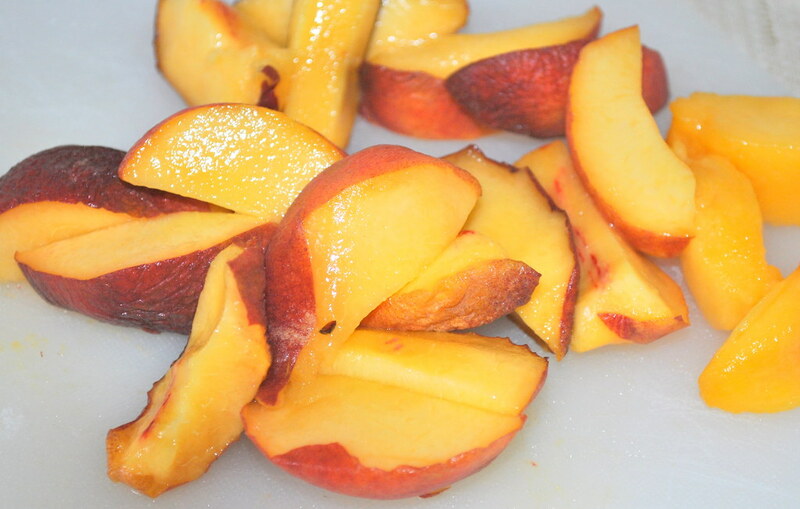 Slice up your peaches and cook them in a saucepan on medium heat in the butter, sugar, cinnamon, lemon juice, and blueberry preserves until everything is good and tender/reduced (about ten minutes). 3. 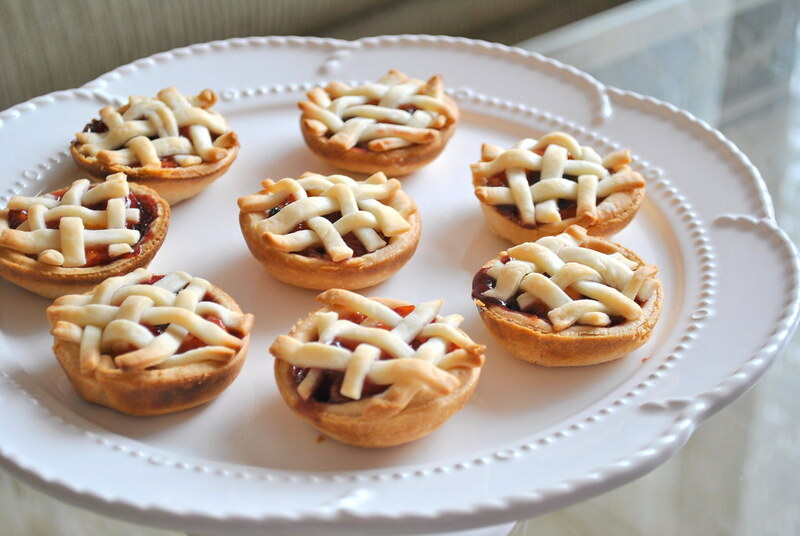 Put your pie filling in each little pie cup and cover with lattice dough top (I used a pizza cutter to make the tiny strips). 4. Bake for 9 more minutes or until top is slightly browned. 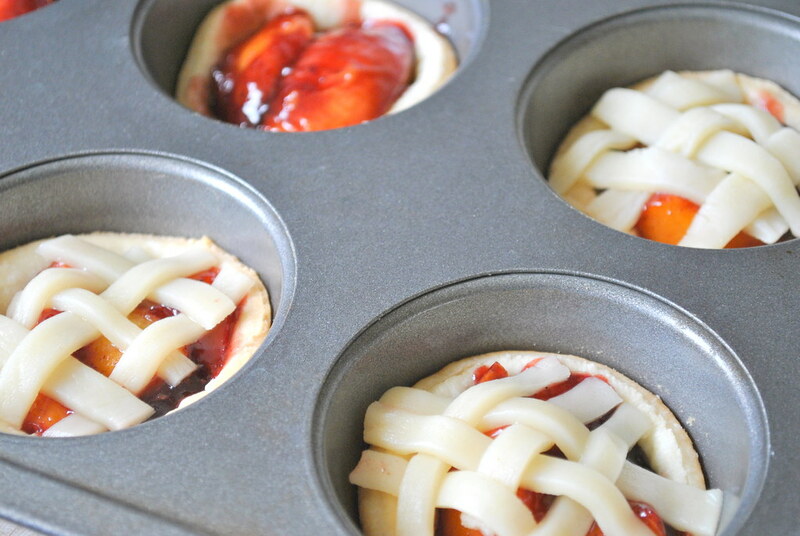 God bless muffin tins. Love the minis! 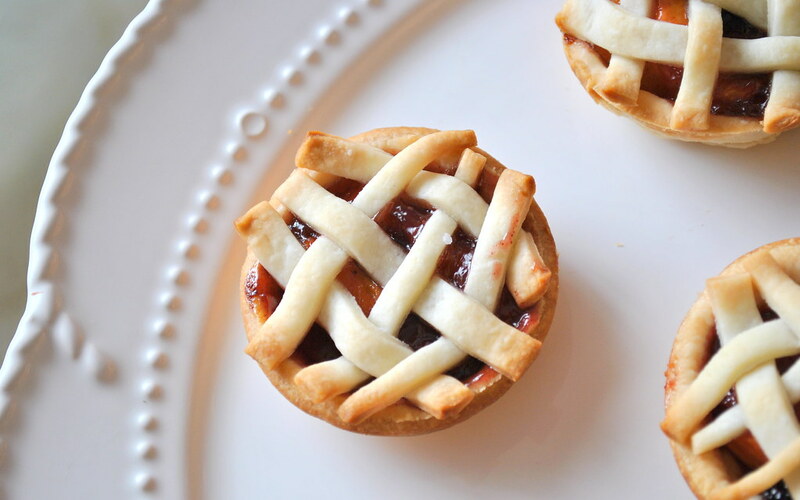 I've made similar mini pies before and they went so quick–everyone loves something bite-sized! The blueberry/peach combo sounds awesome. yum I love delicious recipes made mini!! !